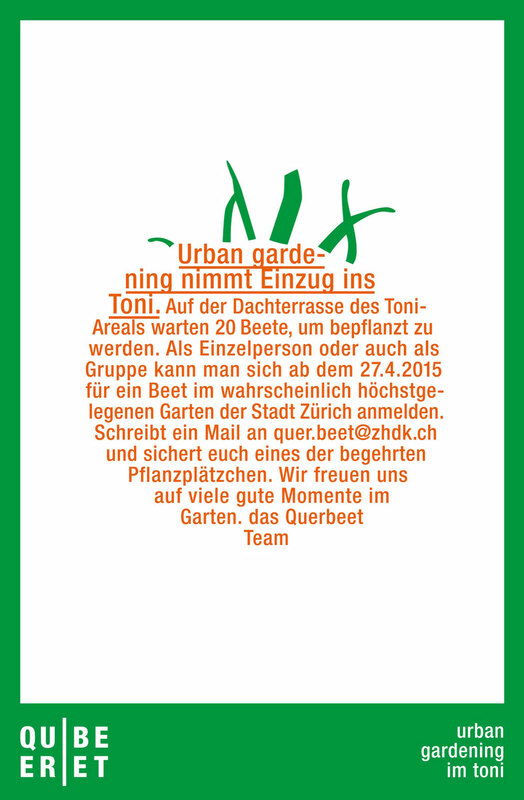 We called our garden «Querbeet» and it's the highest in the city of Zurich. 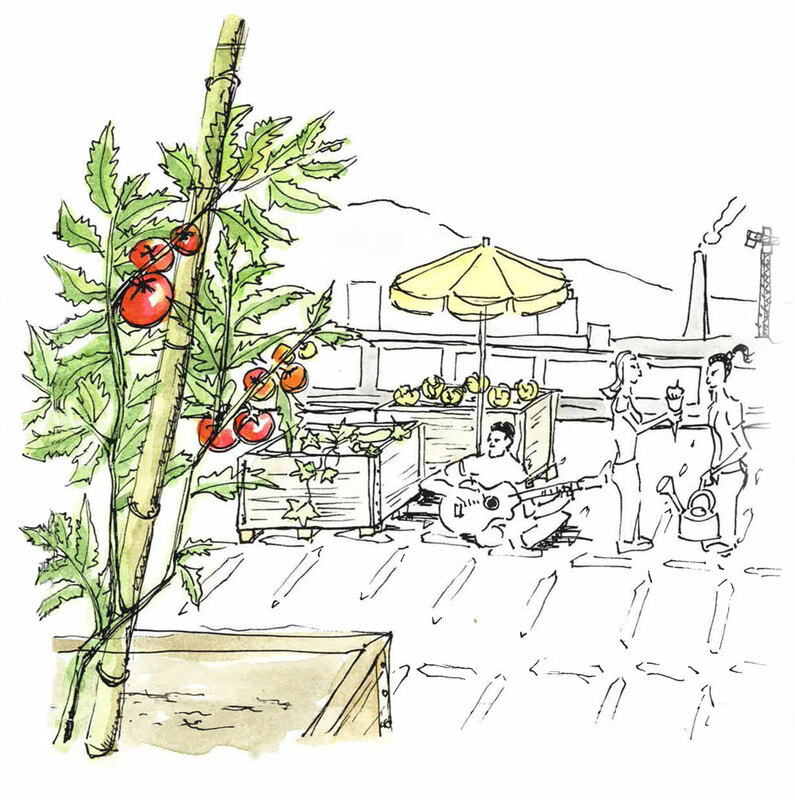 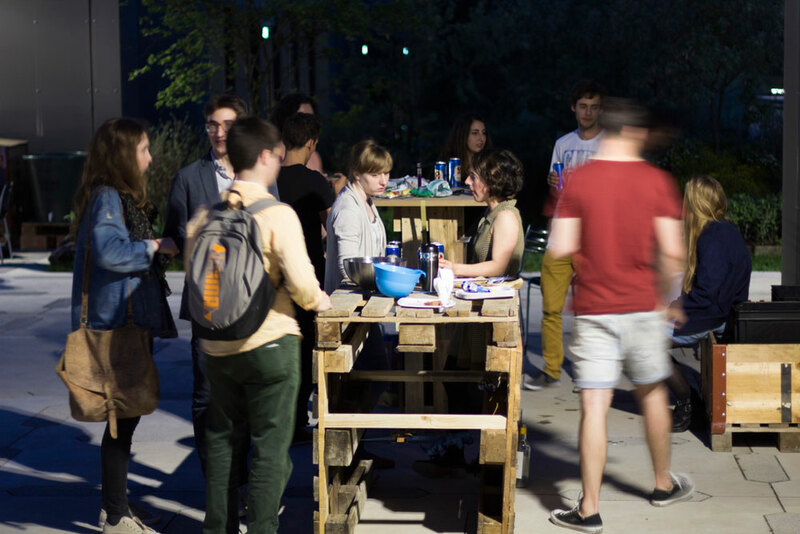 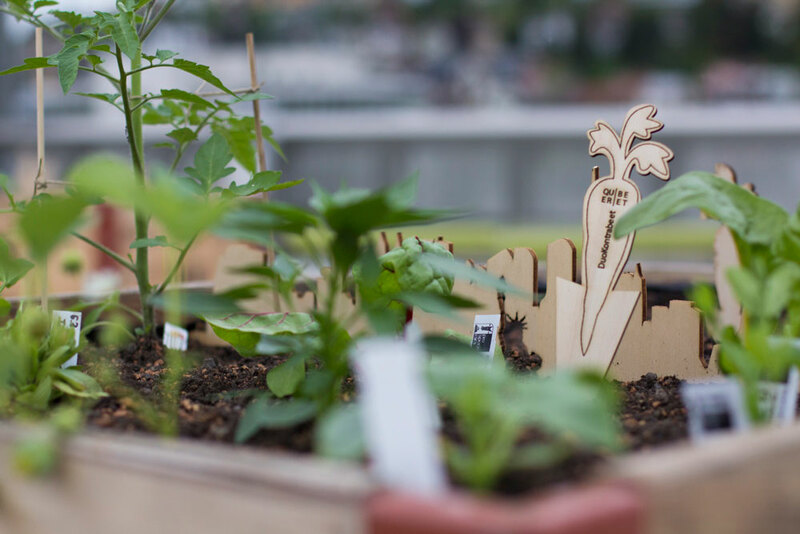 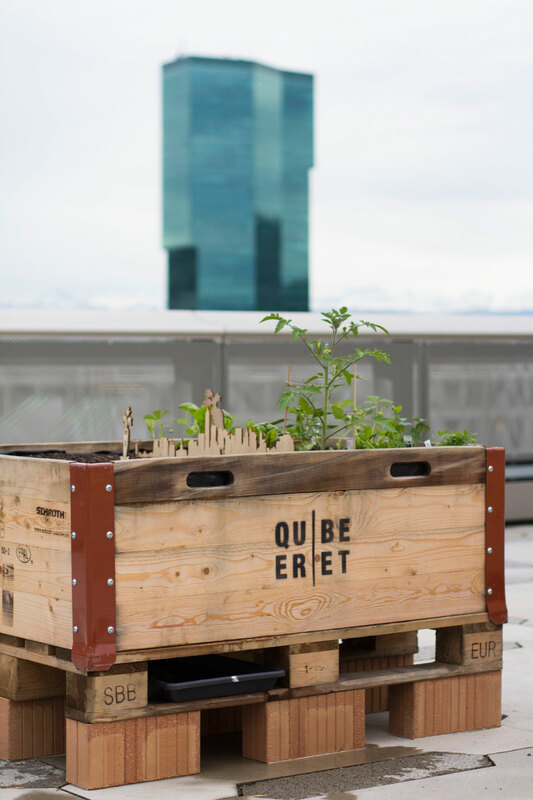 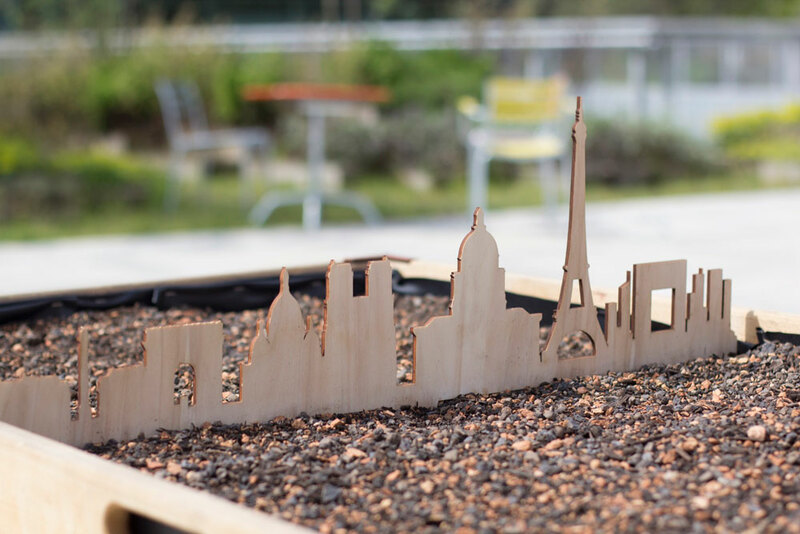 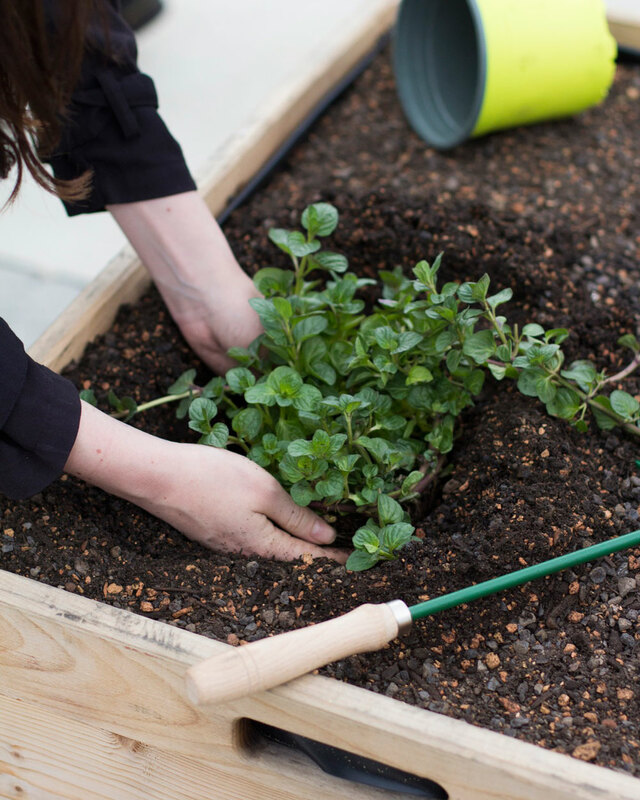 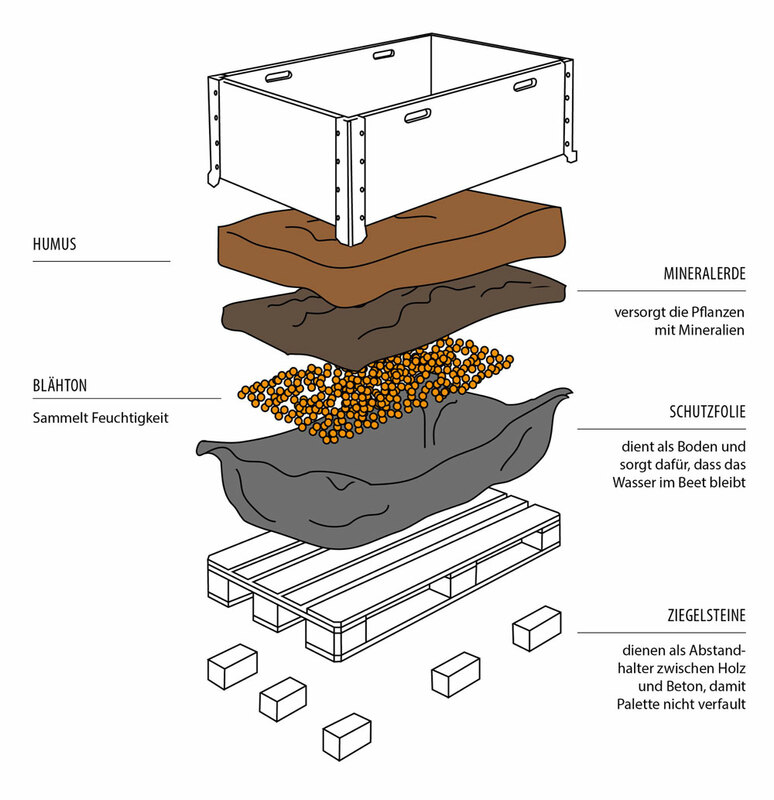 Twenty garden beds have been planted by students, lecturers and employees of the Zurich University of Arts on the roof terrace of our university. 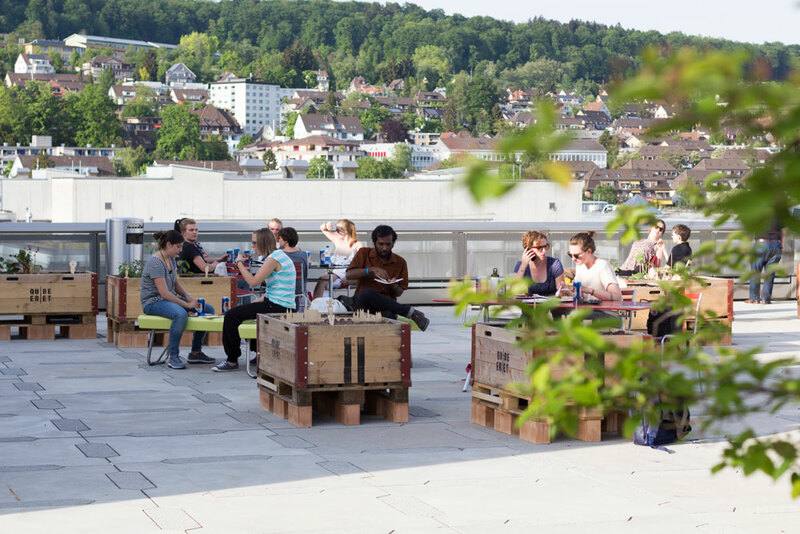 This happened in April 2015 when we realised that we could cover the spacious terrace with greenery and thus fill it with life.